The Parker Hotel as photographed by Chimay Bleue, who has produced one of my favourite collections of photos of modernist architecture on Flickr. I’ll do a series of posts using his photos if he will let me. 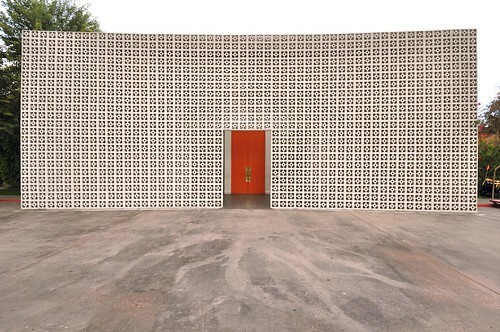 Look at the perforated screen wall outside – why don’t we see these screens around my part of the world? Because no one wants to pressure wash the moss off? 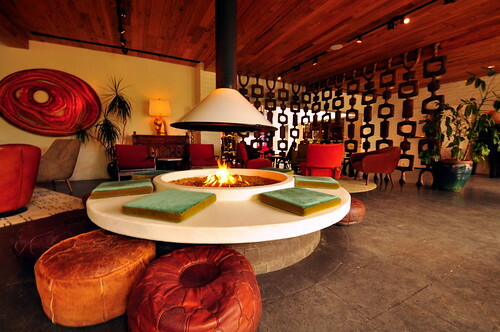 Fantastic lobby, with an indoor version of a midcentury modern screen. This entry was posted on Tuesday, December 8th, 2009 at 12:11 am	and is filed under design. You can follow any responses to this entry through the RSS 2.0 feed. You can leave a response, or trackback from your own site. OMG, I must go! jaw dropping. Thanks! I’ll go take a look.